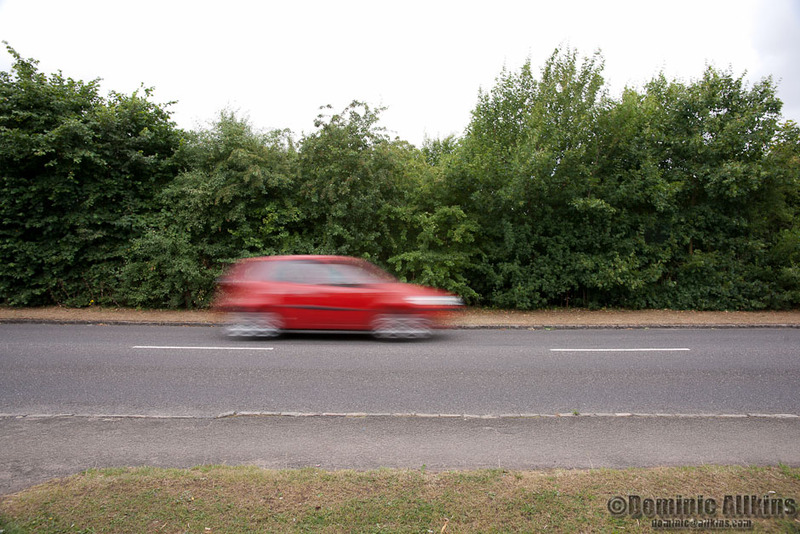 For this exercise I decided to photograph moving cars on a nearby road. 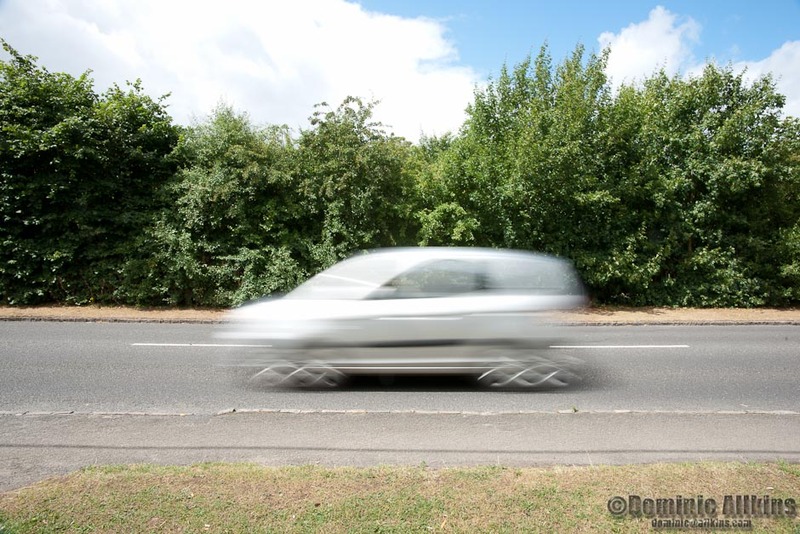 The speed limit on the road is 30mph and while it can’t be guaranteed that all cars will be travelling at that speed the differential will be fairly small. 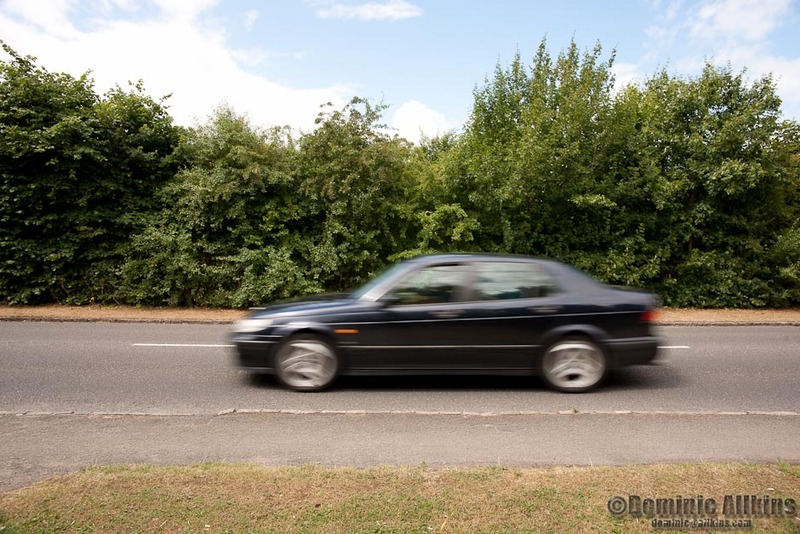 I selected to use shutter priority mode to have control over the shutter speeds – starting at 1/1000s and halving the shutter speed (doubling the exposure time) all the way down to 1/8s. 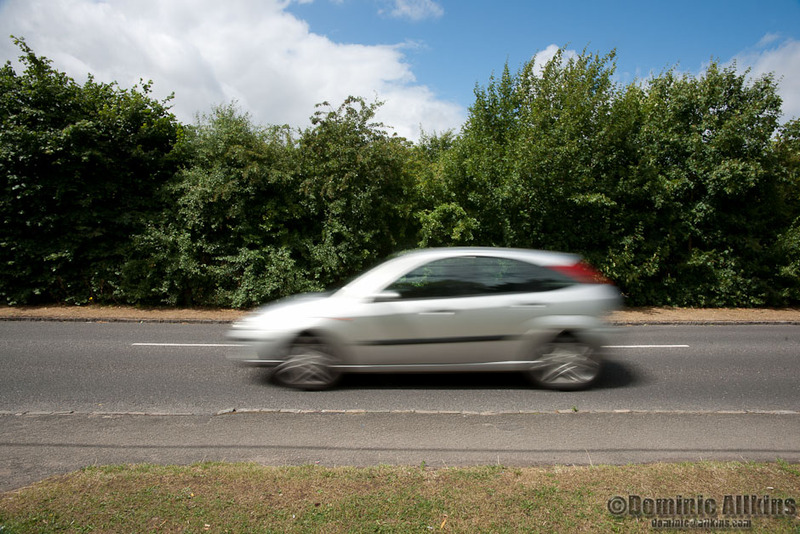 Since a closer object will appear to move faster than a more distant object travelling at the same speed. 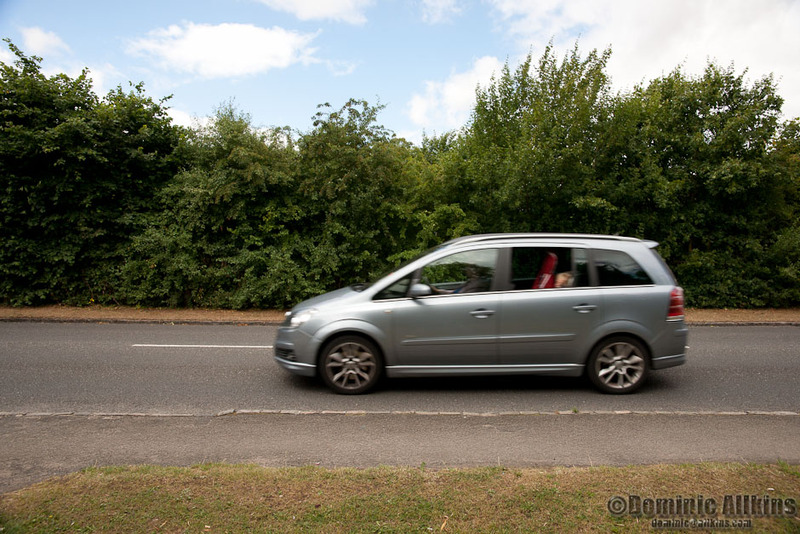 I took pictures of cars travelling in both directions. I wanted to establish if, even with a minimal difference in distance between subjects, this phenomenon could be observed. The focal length of the lens was maintained at 24mm to ensure a ‘fair test’. Larger versions of all images can be seen in Lightbox by clicking on the image. 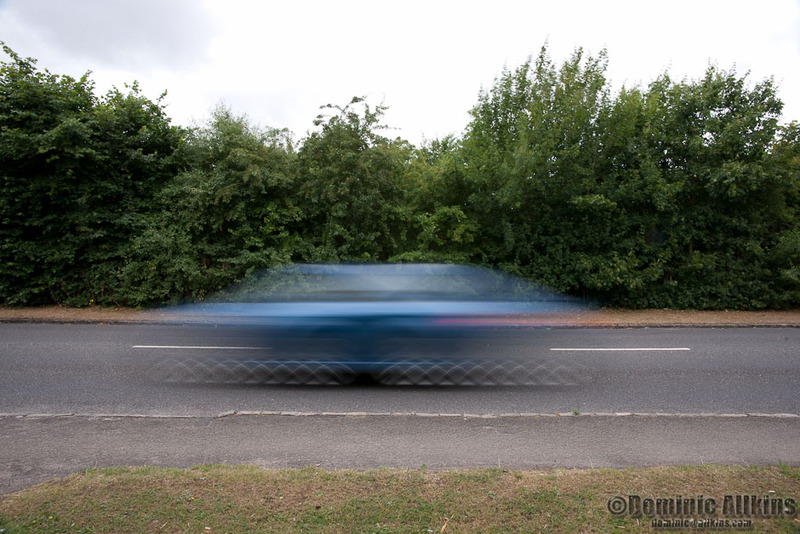 These shots were taken of cars travelling on the nearer side of the road – travelling from my right to my left. 4.3: Shot on a Sony DSLR-A900 at ISO400, f/10, 1/250 sec at 24mm. Definite blur. 4.4: Shot on a Sony DSLR-A900 at ISO400, f/16, 1/125 sec at 24mm. Even more blur. 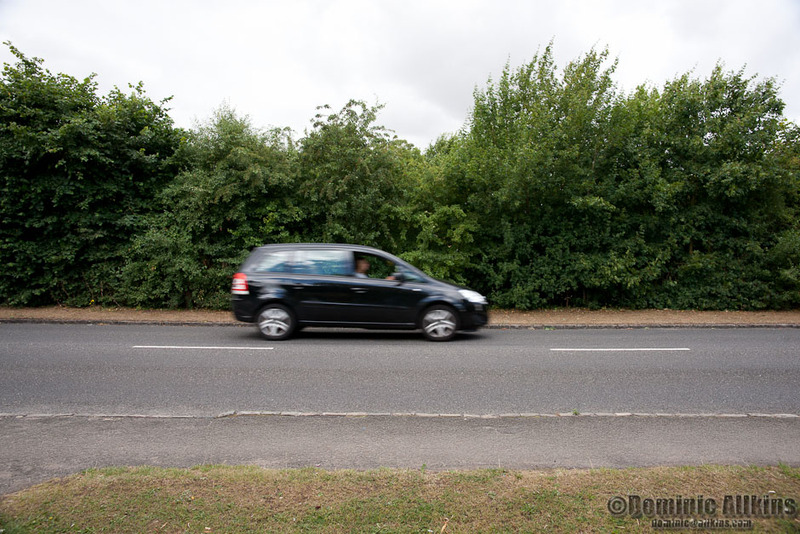 4.5: Shot on a Sony DSLR-A900 at ISO200, f/13, 1/60 sec at 24mm.Still more blur. 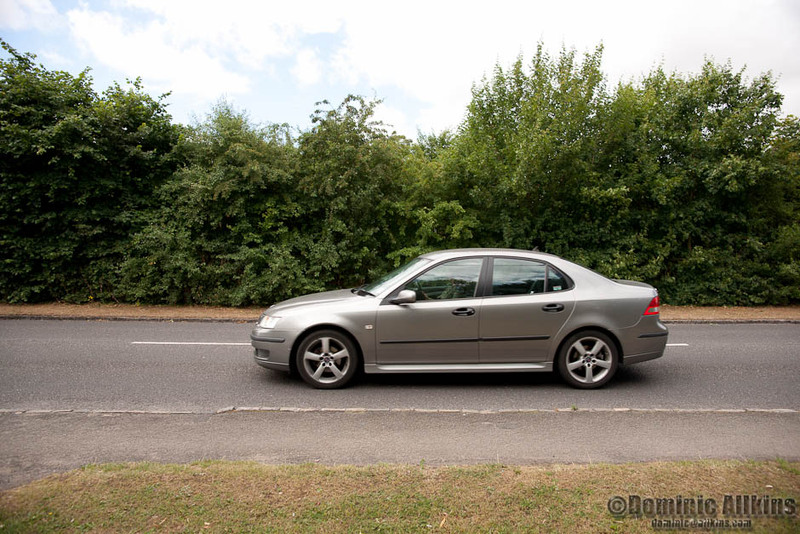 4.6: Shot on a Sony DSLR-A900 at ISO100, f/22, 1/30 sec at 24mm. Even more blur. 4.7: Shot on a Sony DSLR-A900 at ISO100, f/22, 1/15 sec at 24mm. And even more blur. 4.8: Shot on a Sony DSLR-A900 at ISO100, f/20, 1/8 sec at 24mm. High levels of blur. 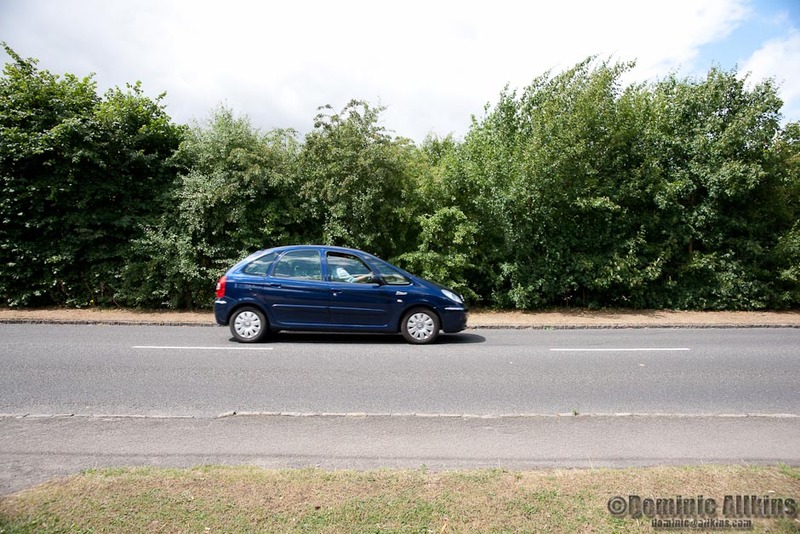 These shots were taken of cars travelling on the far side of the road – travelling from my left to my right. 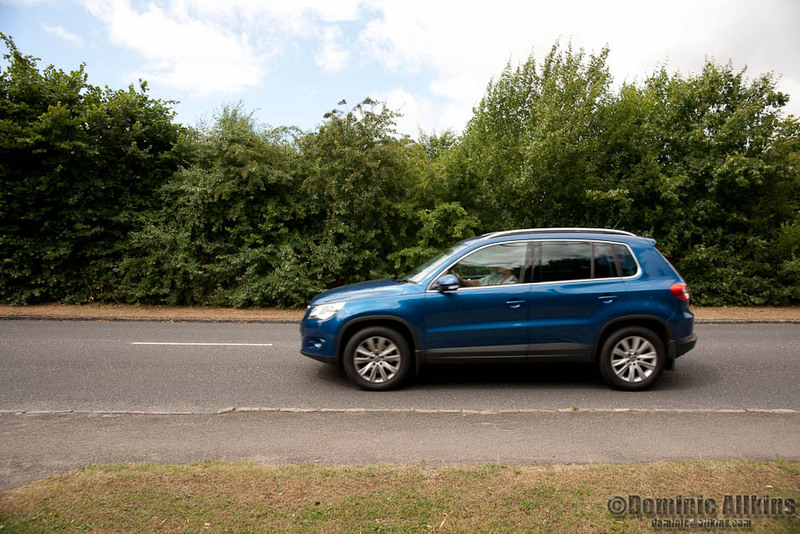 4.9: Shot on a Sony DSLR-A900 at ISO400, f/4, 1/1000 sec at 24mm. Almost tack sharp. 4.10 Shot on a Sony DSLR-A900 at ISO400, f/6.3, 1/500 sec at 24mm. Very slight blur. 4.11: Shot on a Sony DSLR-A900 at ISO400, f/9, 1/250 sec at 24mm. Beginning to show more blur. 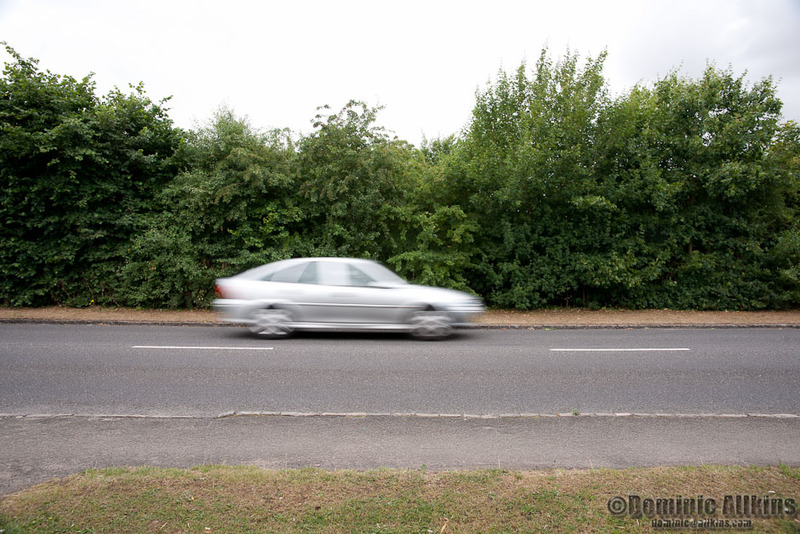 4.12: Shot on a Sony DSLR-A900 at ISO400, f/10, 1/125 sec at 24mm, Definite blur. 4.13: Shot on a Sony DSLR-A900 at ISO400, f/18, 1/60 sec at 24mm. More blur. 4.14: Shot on a Sony DSLR-A900 at ISO200, f/13, 1/30 sec at 24mm. Even more blur. 4.15: Shot on a Sony DSLR-A900 at ISO100, f/13, 1/15 sec at 24mm. Very blurred. 4.16: Shot on a Sony DSLR-A900 at ISO100, f/18, 1/8 sec at 24mm. Very very blurred. 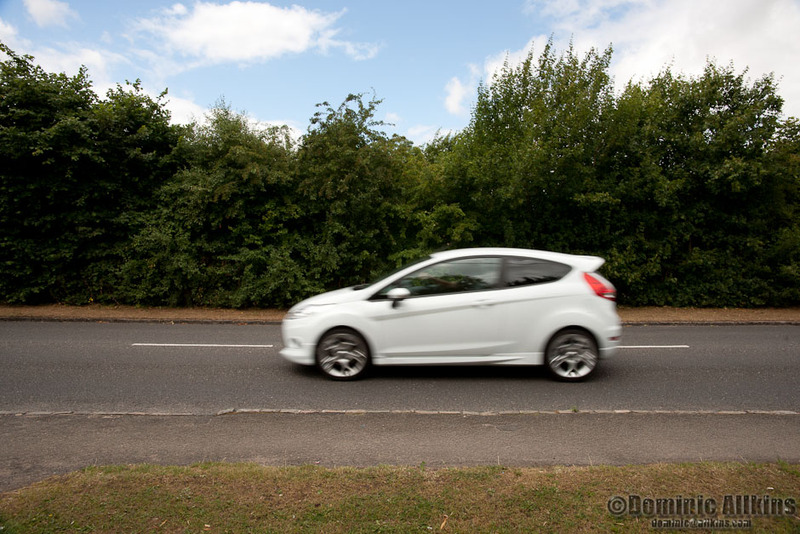 Even at what is relatively modest speed for a road car (30mph) the only sharp images are those shot at 1/1000s. 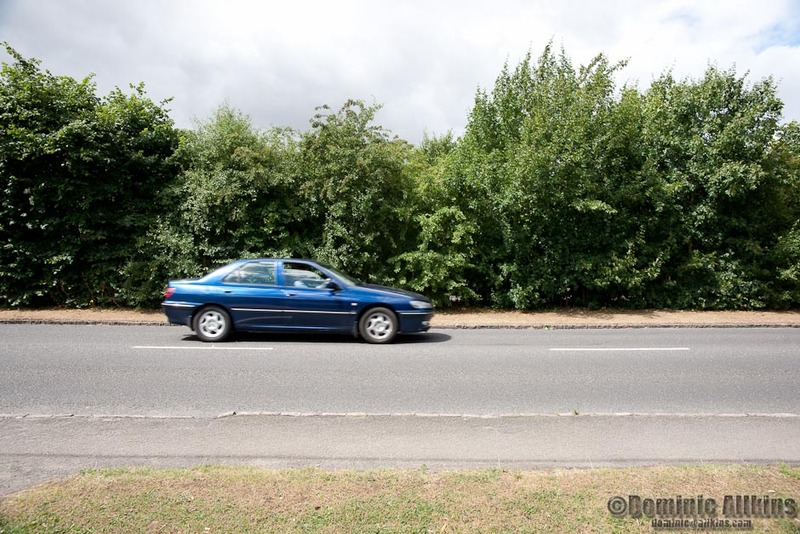 It is unclear from these two sets of pictures whether the difference in distance makes a material difference in sharpness. 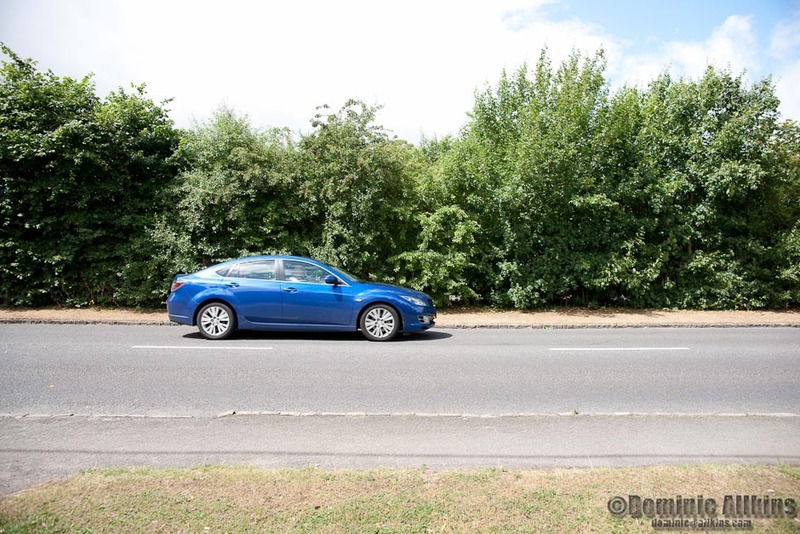 There is a definite difference between the two shots taken at 1/500s – particularly when pixel peeping – with the sharper of the two images being that of the (slightly) more distant car. 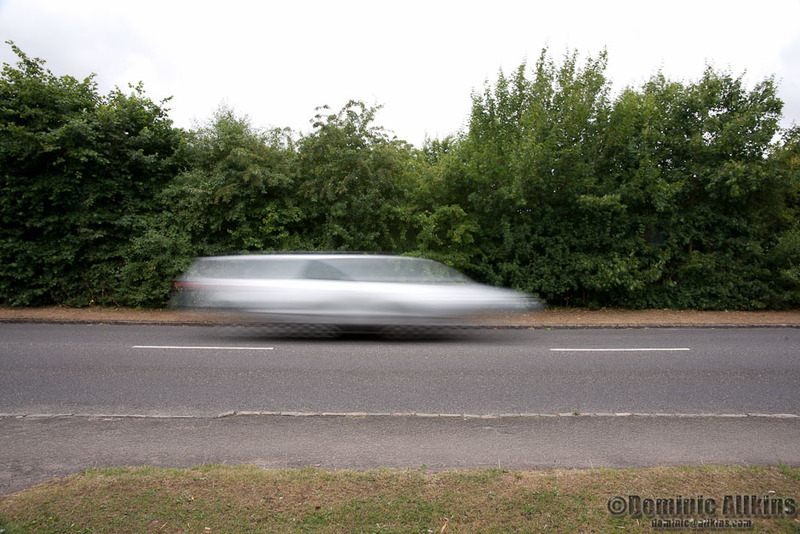 At the time the two cars appeared to be travelling at very similar speeds but it may be that the more distant car was travelling slightly slower, which would also cause an increase in image sharpness. A key conclusion from this is that practice, planning and preparation is critical when shooting moving objects to ensure a higher percentage of better images that are good enough to keep (keepers) – particularly if the number of opportunities to get the shot is low. 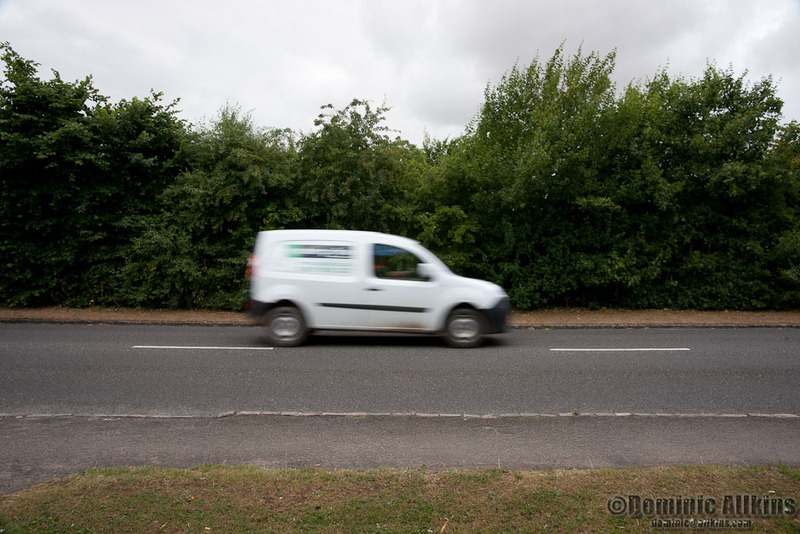 This practice, planning and preparation means that I will be able to make an informed assessment of the shutter speeds required prior to even lifting the camera to my eye when shooting moving subjects. This entry was posted on Friday, July 16th, 2010 at 23:10 and is filed under 01. A way of seeing, OCA Learning Log, TAOP Exercises, The Art of Photography. You can follow any responses to this entry through the RSS 2.0 feed. You can leave a response, or trackback from your own site.